The Half Sked Patient Drag is made of the same durable material as the Sked stretcher, but is only half as long. The patient is secured in the Half-Sked with sewn-in two inch webbing straps with fastex style double adjustable buckles, and patients can be extricated from the tightest of confined spaces. Unlike the Sked stretcher, the Half-Sked allows the patient to bend at the hips, allowing greater flexibility to turn corners. 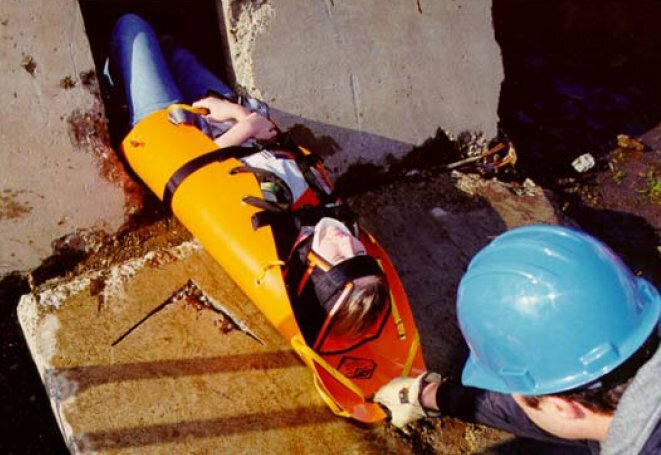 The Half-Sked should not be used as a hoisting or immobilization device, but for cost effective extrication from the most demanding confined spaces there is nothing quite like it anywhere.